Join Blackbeard Johnson, Eyepatch Sue, Cap’n Gunderboom, Peg Leg Jones, and more as they set their sails for a rousing pirate adventure! 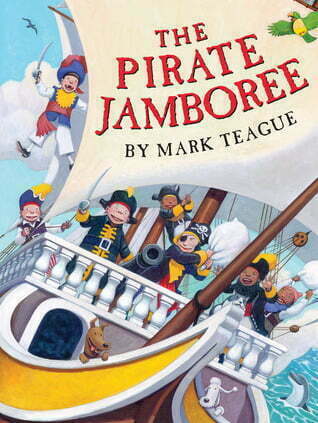 They arrive on their pirate ships, plunder treasure, topple a table, and fire cannons during the pirate jamboree. The pirate adventures come to a close when the S.S. CLEAN YOUR ROOM arrives and playtime is over, but ahoy — tomorrow will bring another day, another tale, another pirate jamboree!